“Sophisticated but at the same time dramatic and seductive, Tangerine Tango is an orange with a lot of depth to it,” said Leatrice Eiseman, executive director of the Pantone Color Institute®. 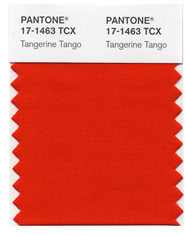 “Reminiscent of the radiant shadings of a sunset, Tangerine Tango marries the vivaciousness and adrenaline rush of red with the friendliness and warmth of yellow, to form a high-visibility, magnetic hue that emanates heat and energy.” Over the past several years, orange has grown in popularity and acceptance among designers and consumers alike. A provocative attention-getter, Tangerine Tango is especially appealing in men’s and women’s fashion. Fashion designers featured in the PANTONE Fashion Color Report Spring 2012, including Tommy Hilfiger, Nanette Lepore, Cynthia Steffe by Shaun Kearney, Elie Tahari and Adrienne Vittadini, are incorporating this attractive orange into their spring collections. A fun, lively take on a traditional autumnal hue, Tangerine Tango will surely carry through to fall fashion as well. Sharing a strong passion for how color can transform a face, mood or even an attitude, Pantone has partnered with Sephora, the leading beauty specialty retailer, to create an extraordinary collection that will change how consumers wear, feel and think about color. Launching in spring 2012, SEPHORA + PANTONE UNIVERSE™ delivers insightful color forecasting, timely trends and powerful seasonal product collections. To celebrate the launch, SEPHORA + PANTONE UNIVERSE proudly presents the first Color of the Year beauty collection. The limited edition collection features a variety of products including eye shadow, lipstick, lip gloss, nail polish and accessories, and will be available in Sephora Americas beginning March 2012. RED-ORANGE LIPS… Would Look Good on You! 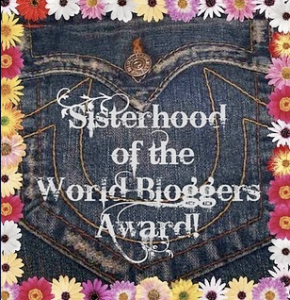 Enter your email address to follow this blog and be fabulous! Receive notifications of new posts by email. Email kept confidential. Want to be Fabulous? Follow Me!